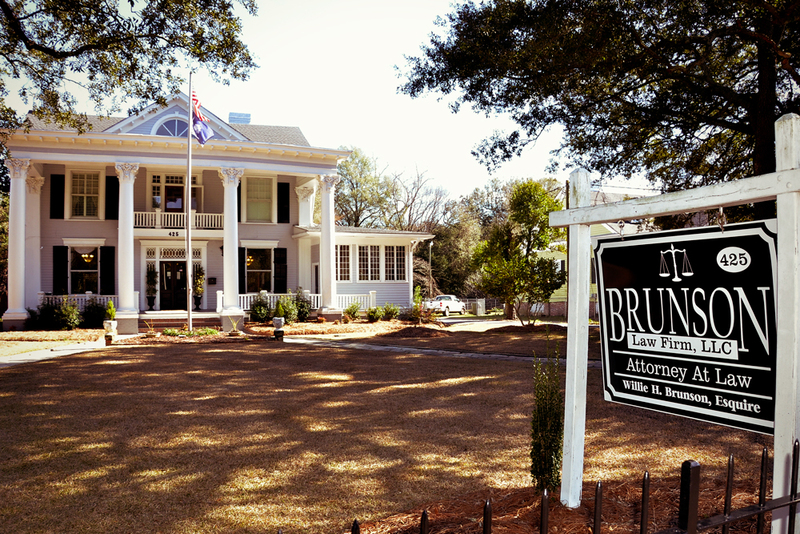 The Brunson Law Firm, LLC is a full-service law firm serving the state of South Carolina with experience and integrity. Expect nothing less than a stellar customer experience and a personalized approach for all of your legal needs. At the Brunson Law Firm, LLC, whether it is an auto accident or an injury on the job, we help injured clients. These cases often involve clients who were injured due to the negligent acts of an individual or third party. We provide a competent and experienced team of attorneys and paralegals to assist you in your time of need. Here at the Brunson Law Firm, LLC we work hard to get you the compensation you deserve for your injuries. Our firm is dedicated to ensuring that our clients who are charged with crimes receive the best legal representation. We take every step necessary to protect the rights and freedoms of those we represent. Facing criminal charges can be distressing not only to the accused but, to their friends and family as well. At the Brunson Law Firm, LLC we take the time to listen to our clients and provide them with competent legal counsel and help navigate them through what could be one of the most stressful experiences they will ever encounter. We are concerned with protecting your rights and have the resources and tenacity to help secure the most preferable outcomes possible. We are not intimidated by the prosecution. We will investigate your case and identify the flaws in the state’s theories. We will locate witnesses and arrange expert testimony on your behalf. We will do everything possible to achieve the best possible outcome. With over a decade of experience in practicing criminal law, we can assure you that your case is being handled with skillful, qualified, and experienced hands. Each family unit is unique. Family law requires a tailored approach, while some cases may require an aggressive approach with no room for negotiation, other cases may best be mediated and worked out through mutual agreement. We understand both the emotional burden and financial strain that these situations can bring to a family. We pride ourselves on our attention to detail and ability to listen and respond to client needs. We consider our tailored approach to be the foundation of our success. Rest assured that your case is being handled by capable professionals. Probate is the legal process that generally takes place after someone dies. As a trustee, beneficiary, heir, or surviving spouse you may be entitled to legal options, and obligations. Our attorneys guarantee compassionate and experienced legal counsel. The harm or wrongful death created by the negligence of a hospital, pharmacy, or other health care provider may give rise to a civil cause of action. Most doctors and other medical professionals are capable, caring, compassionate individuals who work hard for the health of their patients. However, medical mistakes are usually devastating in their consequences, and no victims are more innocent than patients who have come to a doctor looking for aid. In most states, the law requires every business to carry some form of insurance to compensate employees who become injured on the job. Workers’ Compensation was designed to give you the benefits you need and deserve while you are unable to work. We represent homeowners, banks, investors, and fiduciaries in all aspects of real estate closings. Let us provide your title search, title review, real estate closing and title insurance needs. We handle closings in compliance with South Carolina law for home and land purchases, REO (Real Estate Owned) closings, refinances, and HELOCs. We work closely with real estate agents and lenders to make the closing experience as smooth as possible. We understand that it can be hard to continue working when you are hindered by mental or physical ailments. Allow us to help you replace lost income by offering assistance in applying for Social Security Disability (SSD) and Supplemental Security Income (SSI) benefits. We also assist in obtaining the VA benefits you are entitled to.